Chad Lindon has worked at Toyota in Georgetown, Ky., for 22 years and said the 2018 Camry is the most exciting vehicle launch he’s seen, and for good reason. The 2018 Camry will set the benchmark in the mid-size sedan segment. It is the first vehicle in North America designed and manufactured with Toyota New Global Architecture (TNGA), a completely new strategy to the way the company designs, engineers, and manufactures its vehicles. TNGA will improve performance of all models, including increased fuel efficiency, more responsive handling, and a more stable, comfortable feel while driving. The next-generation Camry has a sleeker profile that offers improved aerodynamics, a lower center of gravity, and a more rigid body, allowing for a more comfortable and stable ride. In addition, engineers incorporated a number of new noise, vibration and harshness (NVH) countermeasures that were previously found exclusively on luxury models such as sound-absorbing insulation in the hood and upper and lower fender separator, as well as foam/vibration dampening materials throughout the vehicle. The driver-focused design also features the highest grade of soft touch and premium materials on all surfaces of the cabin – dashboard, instrument panel, center console, door trim, etc. Vehicles will begin arriving at dealers in late summer. TMMK recently hired more than 700 people to support the launch of the new Camry, bringing the number of team members to an all-time high of over 8,000. 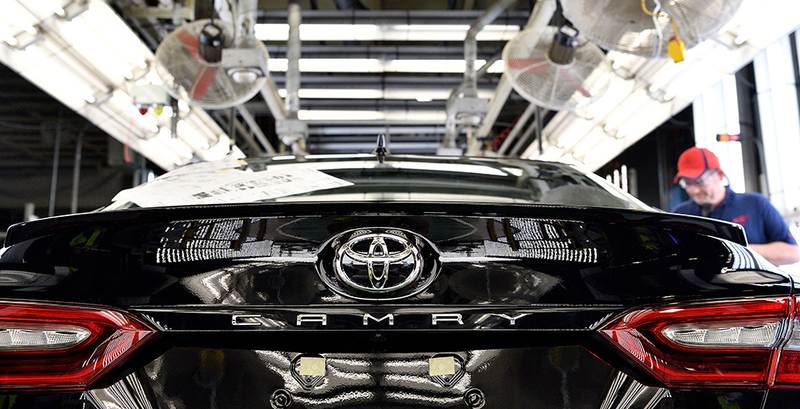 The largest Toyota plant in the world, TMMK has produced more than 11 million vehicles in its 31 years, including more than 8 million Camrys. Earlier this year, Toyota announced a $1.33 billion investment at TMMK for TNGA improvements and other makeovers that will modernize and streamline the production process. 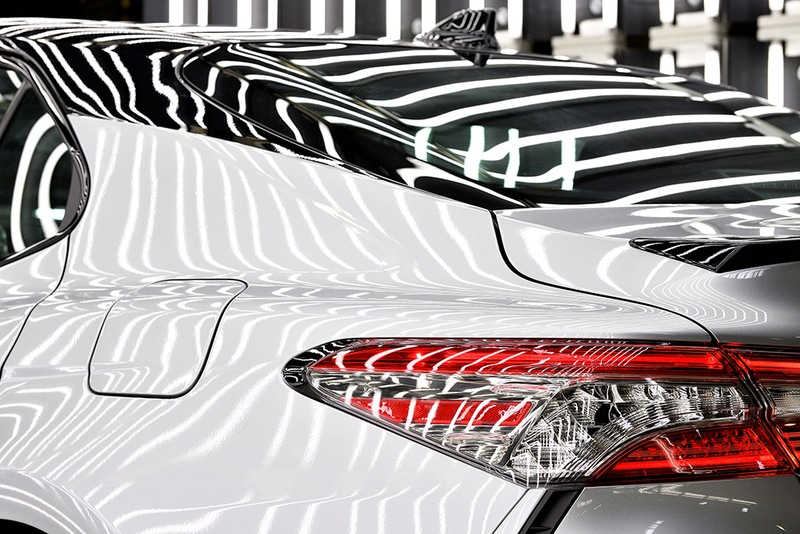 TNGA allows for a more flexible production environment, which will allow Toyota Kentucky to build ever-better cars and respond quicker and more capably to customer demands down the road. Since 1986, the plant represents a $7 billion investment. 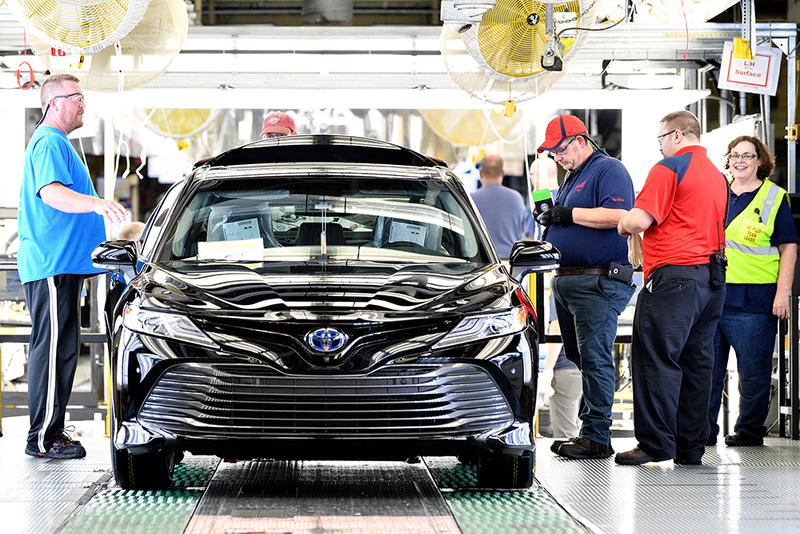 Across the U.S., Toyota is investing $10 billion over the next five years, adding to the nearly $22 billion the automaker has invested in the past 60 years. 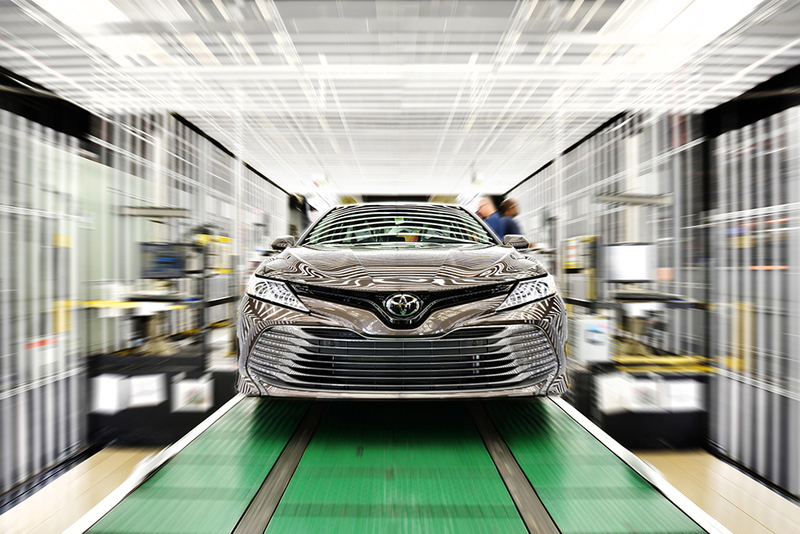 Last year, TMMK produced more than 500,000 Camry, Camry Hybrid, Avalon, Avalon Hybrid, and Lexus ES 350 vehicles, which represents nearly a quarter of the total number of Toyota vehicles produced in North America. 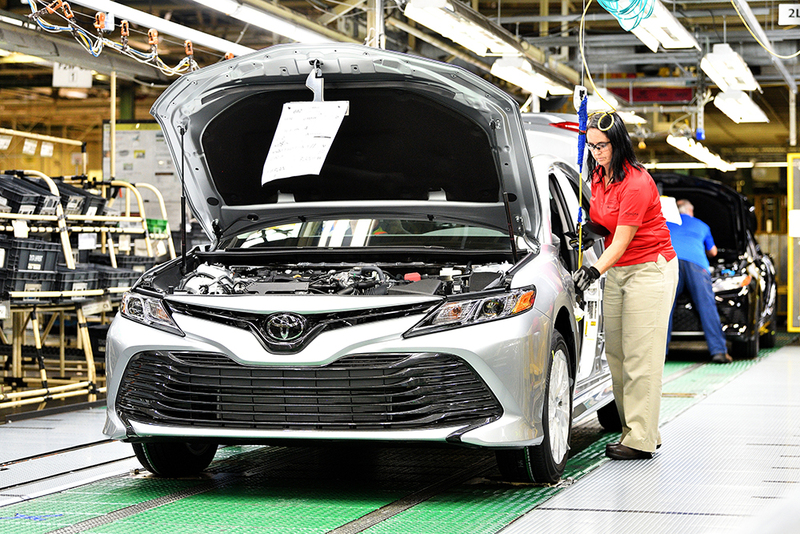 A recent study by the Center for Automotive Research shows Toyota Kentucky supports nearly 30,000 jobs across the states (direct, indirect, and spin-off). TMMK employees live in 80 Kentucky counties, and currently Toyota has more than 100 suppliers located across the Commonwealth.